Through WICT’s virtual learning environment, you will gain an understanding of the industry’s most challenging issues and develop or enhance your professional competencies. You will attend a presentation on a targeted issue, interact live with industry peers and be able to ask questions in real-time from recognized subject matter experts. Accessible– WICT Webinars are delivered entirely via the web and all you need is standard web browser technology and a telephone. Fast – get right to the heart of an issue in (generally) a 1-hour block that fits into your busy schedule. Convenient – no travel, no time out of the office. Participate from the comfort and convenience of your office. Easy – a computer and telephone are all you need. In order to enjoy a truly robust professional and personal life, we need to learn how to grow – a skill that isn’t always easy to master for some. Growth requires change and change can be difficult. We need people in our lives who can provide positive coaching conversations to move us toward maturity. Join us for this dynamic webinar and discover both how to engage in and deliver helpful coaching conversations. Dr. Randy Ross will be unpacking principles from his latest book, Relationomics: Business Powered by Relationships, as he helps us untangle some of the biggest challenges facing leaders today. Reduce drama and grow your teams to higher performance one conversation at a time. Advocating for yourself or your organization can be challenging! Find out how to recognize negotiating opportunities and properly prepare for them in this one-hour webinar that will introduce the 3 Rs of effective negotiation preparation. Susan Borke, Principal of BorkeWorks and expert negotiator, will describe how to recognize opportunities for negotiating—asking for what you want. You will also learn elements of a practical, easy-to-implement approach to use when preparing for negotiations—to get what you need. Throughout a woman’s career, she will likely experience one or more “BioDisruptions” that will impact her life – both personally and professionally. We cannot predict the unique ways our biology will evolve over time but we can benefit from sharing our experiences. Presented by trusted partner, Stone Lake Leadership, Leading While Female – BioDisruptions, will take a brief look at four BioDisruptions common in a woman’s lifecycle: fertility; women’s cancers; “Yo-Yo” weight gain/loss; and menopause. For each of these topics, Stone Lake will make space to explore these unique issues and how best to navigate the effect they have on our lives at work. We’ll discuss how to gain support and handle challenges in the workplace caused by these life events. We invite you to share your own experiences and perspectives as we delve into these important – but often avoided – topics. 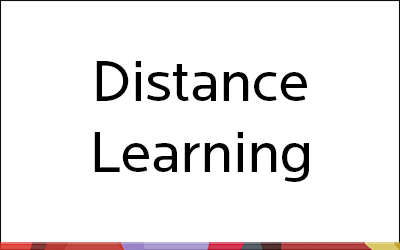 Executive Level Distance Learning Series – for Executive Members only. Executive members can view the recording online. Do you constantly feel drained and on the verge of burnout? Are you too hard on yourself, dwelling on your mistakes and never stopping to feel proud of your accomplishments? This webinar will teach you to set boundaries at work and accept who you are, flaws and all. Join WICT and presenter Claire Wasserman, founder of Ladies Get Paid, an organization that seeks to close the wage and leadership gap though career development. Claire has collaborated with Nike, WeWork, and Squarespace and was chosen as one of Bumble’s 100 Most Inspiring New Yorkers. She has traveled across the country hosting town halls for thousands of women to talk about money, work, and self-worth, and she is currently writing a book about the experience. People often see attention as a transaction – something to trade – but it’s much more than that. Celebrated author and speaker Neen James has identified that people pay attention at three different levels; personal, professional, and global, and she’s designed a powerful methodology that makes it easy to leverage all three. Neen’s Intentional Attention model helps individuals and organizations be more deliberate about the choices we make and the actions we take. Register now to discover what makes attention valuable and why paying attentionin very specific ways drives productivity and profitability. Headlines are blazing with stories on harassment and the launch of the MeToo, SeeHer and TimesUp initiatives. While they started in the entertainment/media industry, these discussions are resonating with people all around the world. The reverberations are driving strong emotions and difficult conversations in our workplaces, at dinner tables, in classrooms, and government chambers. In this webinar, we’ll explore the biological force behind this tectonic shift and what it means for workplace interactions as well as organizational structures and policies. Our presenter Dr. Britt Andreatta is a thought leader who studies the brain science of humans at work and brings a unique perspective to this issue. She is the author of Leading with Emotional Intelligence and Wired to Connect: The Brain Science of Teams and a New Model for Creating Collaboration and Inclusion with over 7.5million views of her online courses. Executive members can view the recorded webinar online (login required). Accountability is more than just reprimanding poor performance. If leveraged fully, it can be used as a powerful motivator and benchmarking tool for growth. This holds equally true for direct reports as well as your own development. How would you rate your responsibility to and for others on your team? Join in this conversation to reflect on your level of accountability and develop this skill to create a work environment built on encouragement rather than punishment. Explore accountability as a leadership tool in managing others. Click here to learn more about the instructor, Judy Hissong. All WICT members can access the recording in the Public Discussions area of WICT Connects (login required). Traditional approaches to change are driven by a desire to predict and control with machine-like efficiency. But our world is increasingly complex and calls leaders to think differently about ourselves, each other and the world around us. Workplaces are multigenerational, industries are consolidating, and new technologies force leaders to rethink the nature of business itself. What if we looked to the genius of living systems for their strategies to thrive in ever-evolving, interconnected environments? As leaders in our own human ecosystems, we can learn and apply lessons from Nature. A living systems framework can turn any organizational member into someone who uses inspiration from nature to transform teams and tackle their most challenging initiatives. Welcome to the flourishing evolution! Click here to learn more about the instructors, Sally Breyley Parker and Argerie Vasilakes. Trust is a foundational principle for successful teams. When team members have mutual appreciation and recognition of each other’s contributions, they set aside their personal interests for the sake of the greater good. Honest, compassionate and mindful communication from a leader who provides constructive feedback balanced with appreciation creates an atmosphere where team members empathize with each other and build strong bonds. In this webinar, presenter Pandit Dasa, mindful leadership expert and former monk, addressed the importance of creating an environment where ego battles aren’t responsible for stifling the team’s progress. This approach encourages individuals to appreciate the contributions of their co-workers instead of feeling threatened by them. During this one-hour webinar, participants came to understand the scientific research on mindfulness and how it can improve and enhance workplace cooperation. The session closed with a guided mindfulness practice that participants can take back to their teams to reduce stress, improve productivity and boost emotional intelligence. Contact membership@wict.org to gain access to the recording. Do you struggle with identifying opportunities that could potentially change your life? And when you find it, do you struggle with capitalizing on the opportunity, maximizing it and taking it to the next level? In this webinar, Shaniece will walk you through the necessary steps to help you identify which opportunities are the best for you in order to personally develop and create the lifestyle that you desire. You will learn how you can succeed in your nine-to-five, find a passion project, and manage your personal life at the same time. It is all about maximizing the opportunities that will take you to the next level. Choose to change the path of your life and choose to change it TODAY! Click to learn more about the instructor, Shaniece M. Wise. Once the poster girl for doing it all, Tiffany Dufu, a renowned voice in the women’s leadership movement, struggled to accomplish everything she thought she needed to in order to succeed. Like so many driven and talented women who have been brought up to believe that to have it all, they must do it all, Tiffany began to feel that achieving her career and personal goals was an impossibility. Eventually, she discovered the solution: letting go. In Drop the Ball, Tiffany recounts how she learned to reevaluate expectations, shrink her to-do list, and meaningfully engage the assistance of others—freeing the space she needed to flourish at work and to develop deeper, more meaningful relationships at home. Join us for this one-hour informative and inspirational webinar. Tiffany will help you understand how you too can embrace imperfection and expect less of yourself (and more from others), enabling you to devote the necessary energy to achieving your real goals. Contact membership@wict.orgto gain access to the recording.